I have a few questions for you. What makes you feel so powerful over everyone else? Why do you feel the need to constantly put the people around you down? Does it make you feel good about yourself? Do you even care on how you affect the lives of these people you choose to harass? Why do you act the way you do? What motivates you to continue this way of life? Some may say not all the popular kids are like this and yes I agree with them, but this letter is focused on “that type” of popular kid. The type of people who verbally and physically hurt others just for the amusement. We need to address the things and actions these kids say and do because it’s often covered up by their popularity. It’s like their words and actions are covered by this huge mask that has the word “POPULARITY” written across it and nobody notices that it’s a mask. 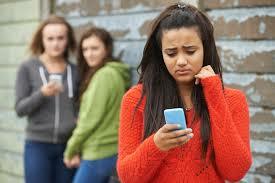 Therefore, they ignore the hurtful things these people say, do, and act towards others. Yes I agree that not all popular kids are like this and that we actually have some decent human beings around us at times, but the ones who feel obligated to say and do certain things which aren’t right are the ones who really need to hear me out. It was around 8 o’clock, a school night. I was scrolling through Instagram, meme after meme, but then I came to this one post. It had a long caption explaining how lame this person was and how they were a “disgrace to our high school”. The picture was a picture of me from the most recent school yearbook. Who could’ve posted it? Oh just the group of the most popular girls in our school although they all shared one account so I wouldn’t know who really said those things. Yet most of the time whoever thought about posting it first, made the others want to join in on the idea. The next day I was at my locker a few minutes after the late bell rang, dreading the fact that I had to get to class. As I closed my locker and turned to walk to class Camila caught me by surprise, Camila is part of that one popular girls group. I guess I had dropped a paper and she picked it up for me and began to talk to me. She asked how my school year was going so far and how I liked my classes this year. I was so confused. Why was she being so nice to me? As we continued our stroll down the hall her friend Jenna came from around the corner, and once her and Camila made eye contact Camila suddenly stopped talking and made a sudden right turn at the nearest hallway. Jenna was the leader of their popular group. In high school everyone wishes to be the popular kid. They want all the friends, all the attention, all the followers and likes, and they basically want to run the school in a sense. I guess you could say that the popularity can get to their head the way money can change a celebrity. When this happens this popular person changes into someone who thinks it’s okay to degrade others making it easy for this person to walk all over them. Once they get the hang of this they begin to bully and pick on others, but for what? Jealousy? They have everything. For fun? I’m sure they can find something more amusing than that. At home problems? Blame the parents. Attention? Please, they don’t need anymore of that at school. I finally understand why Camila switched up so quickly. She saw her leader and was afraid of the consequences she’d have to face if she were seen talking to me. Jenna was the alpha and the girls were her pack, anything she said, did, or thought the girls had to agree with. The popular group of girls didn’t run this school Jenna did. Was she the one who was jealous of others? Was she the one who found amusement out of humiliating someone online? Was she the one with the parents who didn’t care about her and show her what real love felt like? Or was she the one who never was listened to and never received the attention she hoped for so instead she gained it all at school? You feel like you are at the top of the social class when around others. It’s like you’re superior to your peers making them feel like nothing just because they aren’t popular like you. With the help of social media you create this stereotype which people actually try to live up to, but when their attempt at living up to this stereotype fails it’s like they’ve committed some type of crime and are hated for it. They’re hated by those stereotypes because they aren’t them. They’re hated because they don’t have all the friends, all the attention, all the followers and likes, and they don’t run the school. Social media is the foundation and home for the popular kids. This is where they feel most powerful getting all the likes, follow requests, and where it’s easy to stalk their next prey. They begin to disconnect from everything around them and focus on life in a screen. They feed off the attention social media gives them and they sit back behind just a screen laughing at those who aspire to be just like them. But they sit there. They sit there and laugh thinking that no one will ever be as great as them. I just ask that these kids find it in them to learn how to accept others even if they aren’t like them. Because in their eyes no one will ever be as popular as them no matter how hard they try. Yet, in reality they’re just like any of us. Just some normal high school students who want all the friends, all the attention, all the followers and likes, and they basically want to run the school. Although the only difference with these kids are, they actually have it all.